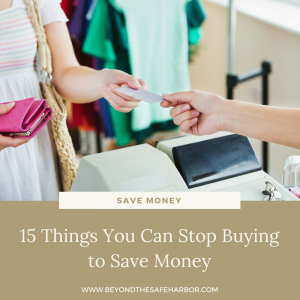 If you’re just starting to work with home improvement companies or contractors, it can be pretty overwhelming. Where do you even start? How do you make sure you’re dealing with a reputable company and high quality materials? What questions should you be asking? And how do you ensure you don’t have issues down the road with projects gone wrong? Going into doing work on our house, I definitely had those questions. With no experience whatsoever in home improvement, I didn’t know what steps to take to make sure we were hiring the right people. But after going through the process each time, it got easier and easier, and my comfort level (and knowledge!) grew. 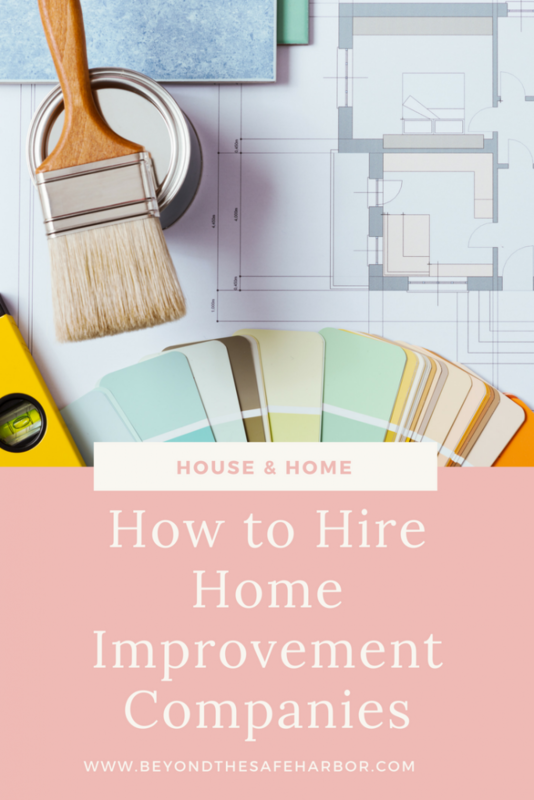 In this post, I’ll share my best advice for hiring home improvement companies so that you can embark on projects with confidence (and dare I say, excitement!) 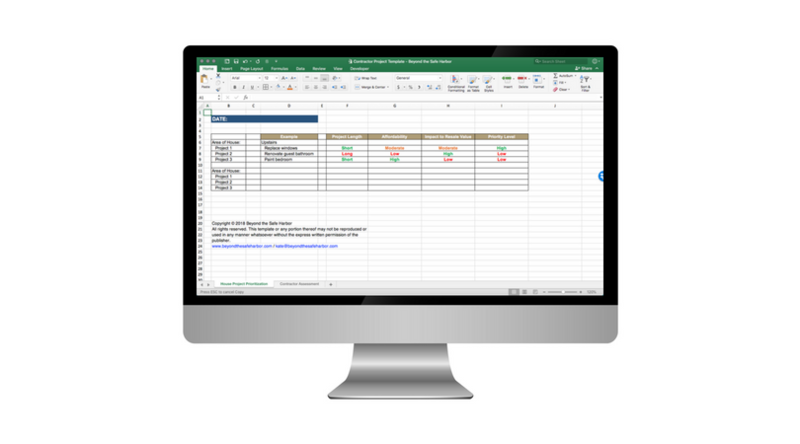 I’ve also created a multi-tab Home Improvement Spreadsheet you can use for various stages of the process. It’s based off what we used, and will give you a framework for keeping track of the moving pieces. You can grab it FREE in my Resource Library in the House and Home section. Sign up below to get the password for instant access. Before kicking off a project, I’d highly suggest making sure that it’s the project that should be given priority. In other words, try to tackle projects in order from highest to lowest priority. It seems obvious, but it’s easy to get excited about a particular reno, only to realize down the road that you should have tackled things in a different order. Take us, for example. We had three painting companies provide estimates on the cost of painting the main floor. But we then realized that we’d probably need some drywall repairs done before painting (ripping an intercom system out of a few rooms, fixing some water damage, etc.). So we had to rejig our list and bring in a handyman to assess what needed to be done with those repairs. The House Project Prioritization tab in the Home Improvement Spreadsheet is based off what we use to both keep track of our long “wish list” of improvements, as well as to prioritize each item. You can grab a copy FREE in my Resource Library in the House and Home section. Sign up below to get the password for instant access. 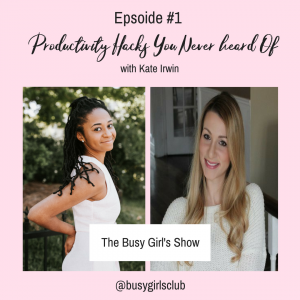 Once you have your priorities set, you can begin to tackle projects in the order that makes the most sense. Bonus tip: If you’re working on two projects at the same time that are closely related, ask the contractors about the right order to complete them in. For example, the roofers recommended getting the chimney repaired before they begin work. And the mason suggested he repair the chimney before we convert the wood burning fireplace to gas. Asking these questions helped us time things so that everything unfolded in the best sequence. This should go without saying, but it’s important to do the right research in shortlisting companies, comparing their offerings, and understanding what’s involved in each project. HomeAdvisor or HomeStars (or a site like them!) If you’re Canadian like me, you may have heard of HomeStars which contains a database of home improvement companies and contractors. People can post reviews of the companies, and it’s typically more honest, detailed, and reliable than a Google or Facebook review. I believe HomeAdvisor is similar for American companies. Neighbours and neighbourhood Facebook groups. If there’s a group for people in your area, see if anyone has posted recommendations for the service you’re looking for, or pose the question yourself. Our neighbourhood group is pretty active, so I can just search “roof” or “roofer” in the group, read old posts asking for recommendations, and can then record the company names that come up again and again. It was through this group that I got the name of the masonry company we ended up using. If you know any of your neighbours, you could also ask them directly! The masonry company did work for our neighbours two houses down, so my husband asked them about their experience before we assigned the job. It gave us more peace of mind to speak to someone we knew. Friends, family, and colleagues. Know someone who has recently done work on their house related to what you’re looking to do? Ask them who they used and if they recommend them. My husband’s colleague recommended the roofing company that we ended up using, and we wouldn’t normally have considered them since they aren’t based in our city. Gool ol’ Google. Google can be a rabbit hole, but if you search “[contractor type] [city]”, Google will often show you a map view with a list of contractors and their reviews. Skim the list, and note any that get high reviews. Want a guide? 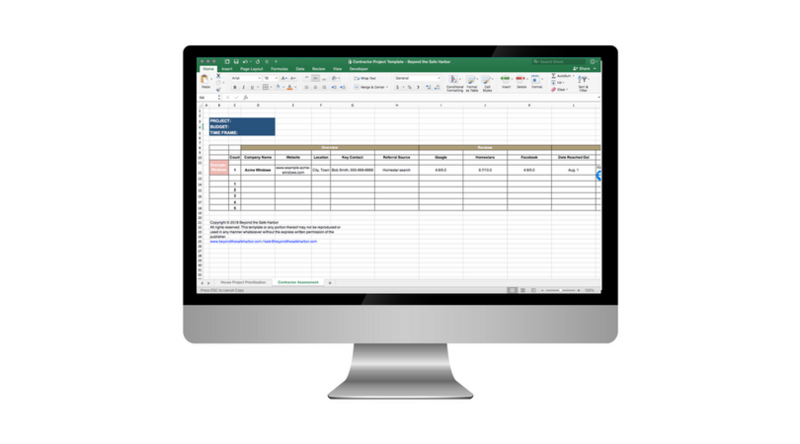 Use the Contractor Assessment template in the Home Improvement Spreadsheet. You can grab a copy FREE in my Resource Library in the House and Home section. Sign up below to get the password for instant access. Take a look at the companies on your list, and try to narrow it down to 3-5 to contact first. These should be the companies that do best on the criteria that are most important to you. This may be the best reviews, or it could be something else like which companies use a specific brand or type of product. For example, we really liked a specific brand of gas fireplace insert that was only carried by two companies in our city. So that made it easy to narrow down who we wanted to quote on the project. Contact your top picks to set up appointments for them to quote on the project. If you don’t hear back from all of them (even after following up! ), just work your way down the list. Ideally, you’ll have at least three quotes to review, if it’s a larger project. For smaller projects, you may be comfortable with only getting two quotes. We got two quotes on our chimney repair and one was more than double the cost of the other. So it was a good thing we got both and didn’t just book blindly with the first, more expensive company. When it comes to comparing estimates, the exercise is similar to comparing contractors at the early stage: identify your most important elements, and compare each company against them. To make sure you’re comparing apples to apples, you may want to add extra elements to your comparison. For example, we had some roofers who planned to install two extra vents to the attic as part of the re-roofing job, and others that omitted this. By recording this in our comparison, we could look at things more fairly versus purely on cost. The Contractor Assessment template in the Home Improvement Spreadsheet can help you with this. Grab a copy FREE in my Resource Library in the House and Home section. Sign up below to get the password for instant access. If I had a nickel for every question I asked during these projects, I’d be sipping Mai Tais on the beach in Hawaii! Honestly, knowledge is power and just because a question may seem “stupid” or have an “obvious” answer, you may be surprised that it’s actually a good one. I’d highly suggest asking questions throughout the entire process, but in particular, once you have the estimates in hand. Compare them, and if there is anything you’re confused about or want explained, ask. It will help you make a better decision and may also give you more knowledge about the project and the approach the contractor is taking. The roofer we used has a price match guarantee, and we sent him a cheaper quote to see if he would match it. It turned out that the two quotes weren’t equal: the competitive quote was omitting 3 things that this roofer does. If we had just booked on price and hadn’t asked him to look at the other quote, we would never have known. The terminology on estimates is notoriously confusing, and getting multiple sets of eyes can be really helpful. Along the same lines, ask questions of your friends and family or anyone else you know who has familiarity with the project. 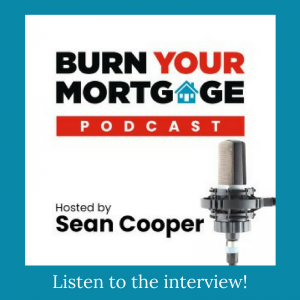 We asked our parents a ton of questions throughout the process, since they’ve been homeowners for far longer than us and are able to give us honest answers. Instead, focus on questions about their approach and process. For example, if they’re a painter, how many coats of paint do they use? Do they do one room at a time, one section of the house at a time? (This will impact how much you can use the house when they are working.) If they are a handyman, how would they go about repairing a specific type of issue? What experience do they have with that type of repair? How long do they expect the project to take? And how soon could they start? You’ll find that you’ll gain a lot of insight into their confidence and experience just by the way they answer your questions. Once you’re confident that you’ve found the right fit, book them. You’ll be given an approximate start date, and may need to sign a contract and/or pay a deposit. Before signing anything, read through it in detail and be sure you understand what you’re agreeing to. And when it comes to a deposit, pre-paying for the work in its entirety isn’t common, and I would see that as a red flag. While it can be tempting to be really hands off as the contractor is working, I’d recommend still being available and accessible if they have any questions, and checking in from time to time. When we got our windows installed, my husband worked from home and kept an eye on the work throughout the day. Since it was a brick-to-brick replacement, it was a relatively invasive process and one that we wanted to ensure was done well. By observing some of the work, we got insight into the approach they took and could ask questions along the way. This also gives you the opportunity to offer feedback in case anything looks off, and allows you to change course before things are too far down the road to completion. Before signing off on the project and paying in full, survey the work in detail. Now is your opportunity to point out anything that need to be fixed or corrected. With our windows, for example, we noticed a few of them looked slightly crooked. The installers had installed them level, but because the house had settled over the last 30 years, it’s on a tiny angle and makes the windows look “off”. We flagged this to the window company and they installed extra trim around the problem areas to mask the issue. Because we flagged this before signing off, they completed this work at no extra cost. Once the project is done, admire the “after”. You’re done! Enjoy the fruits of your labour. Consider leaving a review for your contractor, and even letting them take before and after photos for their portfolio if you’re comfortable. That’s it – my best advice for working with home improvement companies. I’d love to hear your experiences as well as any tips you have that may help others!